In Canada you have to carry mandatory auto insurance if you are a motorist, as per law. The different Canadian provinces have their own rules and regulating bodies for auto insurance. There are 3 territories and 10 provinces in Canada. These include Alberta, British Columbia, Nova Scotia, Ontario, New Brunswick, Saskatchewan, Newfoundland and Labrador, Manitoba, Quebec, Prince Edward Island, Northwest Territories, Yukon and Nunavut. The regulatory restrictions regarding age for licensing also varies in Canada as per location. If you are under the age of 16 years then you may check with the Motor Vehicle Regulations Department in your province for the minimum age. There may be additional requirements that you need to meet if you are a minor. Also, you may get car insurance once you have your driving license when your parent or guardian is a co-signer. Or, your parents may add you as a minor to their auto policy if you don’t own a car. In all parts of Canada, the minimum legal age for your driving license and car insurance is the same. You may not get license plates for your vehicle until you have valid insurance. The Automobile Insurance Rate Board and the Office of the Superintendent of Insurance regulate car insurance in Alberta. In order to register a vehicle in Alberta, you must be at least 18 years old. If you are under 18 years then your parent or guardian may give consent for vehicle registration at the registry office. However, to get a learner driver license you must be 16 years old for passenger vehicles and 18 years for commercial. The minimum age required to get car insurance in Alberta is 16 years and there is a graduated licensing system. In British Columbia, the Insurance Corporation of British Columbia provides driver and vehicle licensing. There are 2 stages in the graduated licensing system to first get your learner license and then your novice license (class 7). When you pass your road test for class 5 then you get your full license. To apply for a driver license you must be at least 16 years old and that is the minimum requirement for auto insurance too. The minimum age required to get a driver license in New Brunswick is at least 16 years that is only with the consent of parent. To apply for the graduated licensing system you must get parent’s or guardian’s consent if you are under 18 years old. There are 3 auto insurance regulators in New Brunswick. These include the Office of the Superintendent of Financial Institutions, the New Brunswick Insurance Board and the Superintendent’s Office. In Ontario the minimum age to apply for a driver license and purchase car insurance is 16 years. If you are less than 18 years then you may get a vehicle permit if you have an identity proof to confirm your signature, age, and legal name. The Financial Services Commission of Ontario regulates auto insurance in Ontario and there is a graduated licensing system. 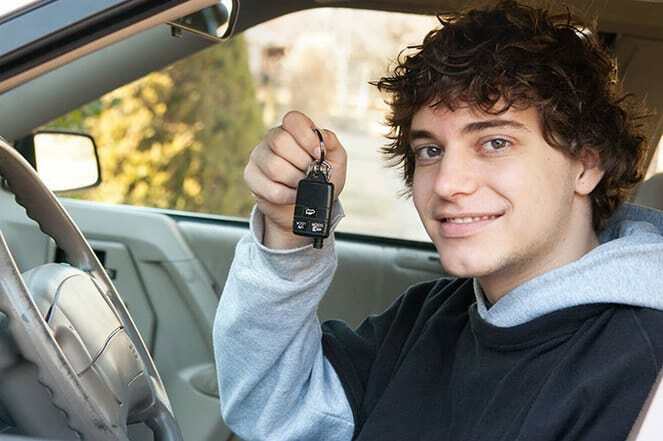 The minimum age to obtain a driver license and purchase insurance in Nova Scotia is 16 years old. But you may do so only with consent of parent or guardian. In Nova Scotia, the Nova Scotia Utility and Review Board regulate auto insurance and has a graduated licensing system. You may get a novice driver license or class 5 Level 1 when you are at least 16 years old that may allow you to drive a light truck or passenger car. If you are less than 19 years old then you may get the consent of your parent or guardian. The Board of Commissioners of Public Utilities regulates auto insurance in Newfoundland & Labrador. There is a graduated licensing system in Newfoundland and Labrador. To get a driver license in Prince Edward Island you must be at least 16 years. You must be at least 16 years to drive a motorcycle, car or a light truck. The Island Regulatory and Appeals Commission and Office of the Superintendent of Insurance regulates auto insurance in PEI and there is a graduated licensing system. If you are a resident of Manitoba you may get a driver license when you are at least 16 years. The Manitoba Public Insurance regulates auto insurance in Manitoba and they have a graduated licensing system. You may obtain your driver license in Quebec when you are at least 16 years old and when you are less than 18 years you must get parental consent. The minimum age to get a driver license in Saskatchewan is 16 years. When you are 15 years old then you may join the driver education program with parental consent. In Saskatchewan, the (SGI) Saskatchewan Government Insurance regulates auto insurance. Currently, Nunavut does not have a graduated licensing system and to obtain a learner driver license you must be at least 15 years old. However, you may appear for a road test only once you are 16 years old. There is a graduated driver licensing system in Yukon that has 2 stages, the learner and novice stage. You must acquire at least 50 driving hours in the learner stage. The minimum age to apply for a driver license is 16 years and you may need parental consent. This consent must be given by parent or guardian if you are less than 18 years and the Office of the Superintendent of Insurance regulates auto insurance. In Northwest Territories, there is a graduated licensing program for new drivers. The minimum legal age to get a driver license is 17 years old. The Office of the Superintendent of Insurance regulates auto insurance in Northwest Territories.